Oh boy. If I were rich, I would have to own an extra appartement just for all the shoes I would buy. Wherever I go, I find a pair of shoes. I just have this huge amount of love for whatever goes on to your feet. However, I have the biggest fear of feet. They cannot touch me and nobody can touch mine. It didn't really come as a big shocker though when my mom told me that my great grandfather was a shoe designer. I guess it just had to be in the family. 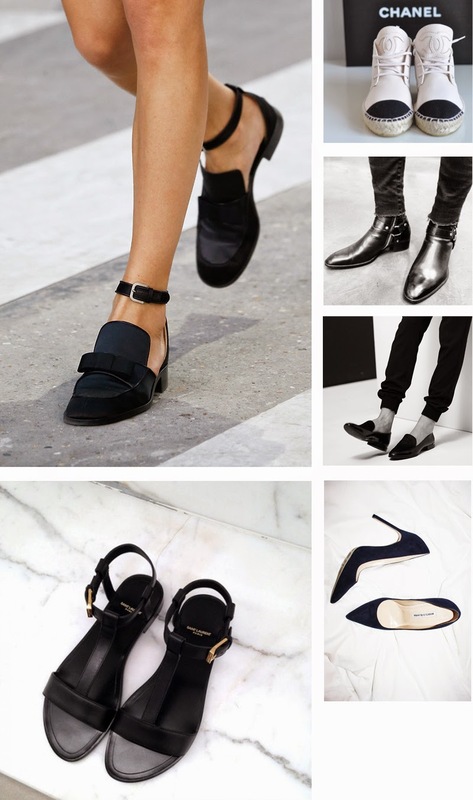 Here are some shoes I've been craving lately - or not so lately. All these photos are found on Tumblr. Check out anoukmeetsfashion.tumblr.com for more! Mooie selectie! Vooral die van de nieuwste Chanel collectie! Die eerste zijn zalig mooi!